Select any three regular price glassware products and receive 10% off all three. Price is adjusted in cart. 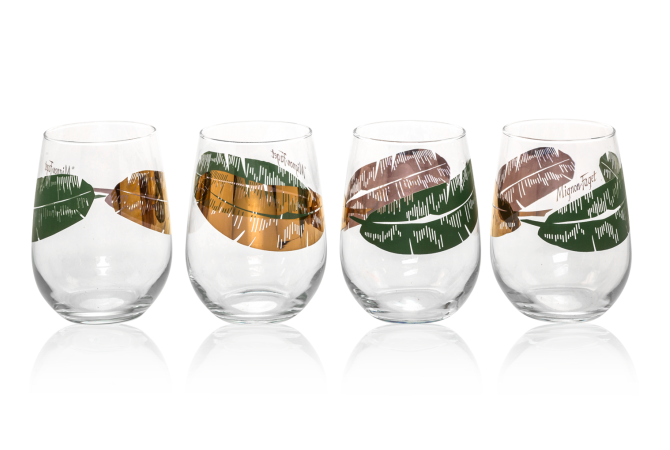 Stemless Wine Glasses from Mf. At Home featuring a Banana Leaf design.